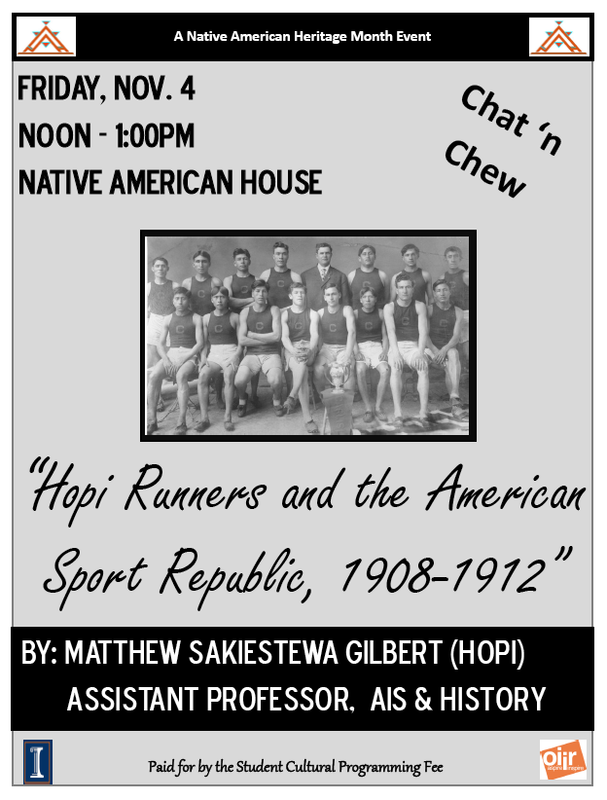 On Friday November 4 at 12:00 noon at the University of Illinois Native American House, I will give a presentation titled “Hopi Runners and the American Sport Republic, 1908-1912.” The lecture will focus on Hopi runners, Louis Tewanima and Washington Talayamtewa (Talyumptewa), who competed for the Carlisle Indian Industrial School track team between 1908 and 1912. Both runners were from the village of Shungopavi on Second Mesa. The event is free and open to the public. Lunch will be provided. Click here for additional information. Sounds great, LeAnne, and thanks for passing along the announcement to your students!